Sailview Family Medicine is pleased to serve your complete medical needs. Family Practice is the only specialty which equips physicians to care for the entire family regardless of age, gender, or medical need. By managing most illnesses, we reduce your need to see different doctors for different problems, and enjoy a more complete patient/doctor relationship. We are happy to make a referral to a specialist for you if the need arises. Born and raised in Tallahassee, Florida, she moved to beautiful North Carolina with her husband and two small children after completing her residency. 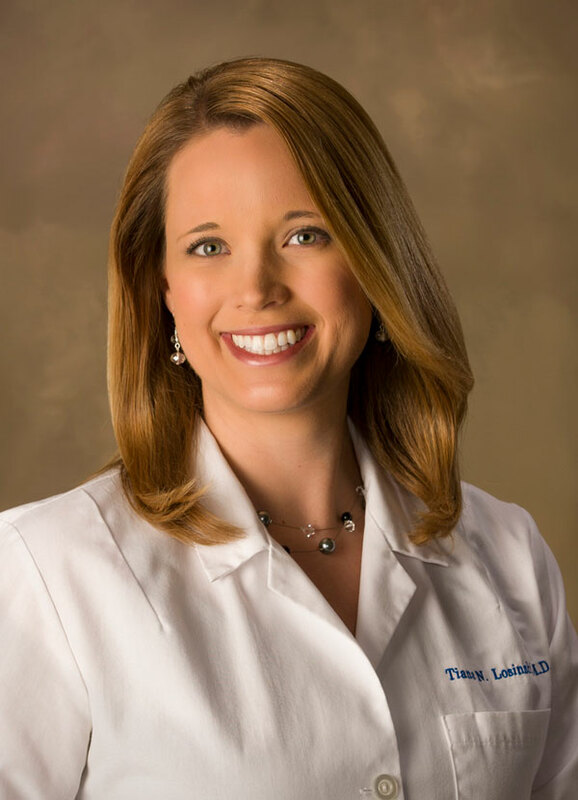 Dr. Losinski enjoys the outdoors, and can often be found running for fitness or camping and hiking with her family for fun. She also loves spending time watching her sons play basketball and baseball.